Local SEO Packages For Local Businesses Like Yours! This is the ideal way to maintain your business’s local search presence. If your business operates locally and only requires exposure within your own town or city, this package is perfect. Our local SEO packages is a small fraction of the price you would have to pay the Golden Pages and you will get much more from it. More traffic to your website, more enquiries and more sales / confirmed customers. Our local SEO packages include many features and services such as keyword research, on-page optimisation, deep crawl analysis, on-page grader reports, citation building, backlink building, customer reviews and setup and optimisation of your Google plus local business page including adding a Google map listing of your business. The SEO packages below are ideal for most businesses, however, we understand that not every business will require the same approach when it comes to SEO. With more and more well-established businesses contacting us for high profile inbound marketing, we have decided to launch our bespoke SEO plan which we may recommend instead after analysing your keywords and the competition within your niche. In this way, we will be able to achieve the best results possible for your campaign. 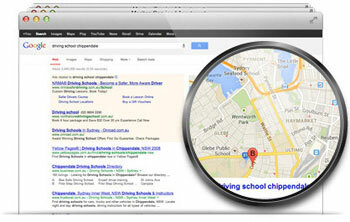 For more information on our local seo services, please see our local SEO service. Website Design, SEO, Client Communication, Website Hosting. A quality service from start to finish. Mark is professional, approachable , open to discuss and optimise project ideas to ensure a successful outcome. The follow up service is very impressive too. 9.5/10 just because one can never give 10/10! Thanks again Mark. You definitely had the solution for Avondhu Physiotherapy Clinic website.